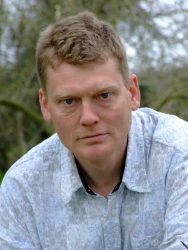 Tom Heap is on TV most Sundays as the investigative presenter on BBC Countryfile, covering such diverse topics as the vegan trend, migrant labour, tumbling lamb sales and, of course Brexit. He is also the main anchor on the Radio 4 environment series Costing the Earth where food, farming and the political landscape surrounding it is never far from the menu. Tom has also worked on many Panorama films on bottled water, food fraud, badgers and much more. The last one was specifically looking at food, farming and Brexit.